Depending on what you want for it I don't think you get that premium back when selling. Would try to sell it to a dealer that gets cheaper service or does his own. Thanks, could do. Just wondering what the difference would be between doing that and servicing then selling it privately. Service is a gamble, check (realistic) chrono prices vs what local dealers will offer you and make your decision I'd say. Such a good looking watch. burny wrote: Watchdoctors.co.uk in Hertfordshire. Can thoroughly recommend. Sent my old mans broken Breitling in there and they fixed and serviced it for £300. 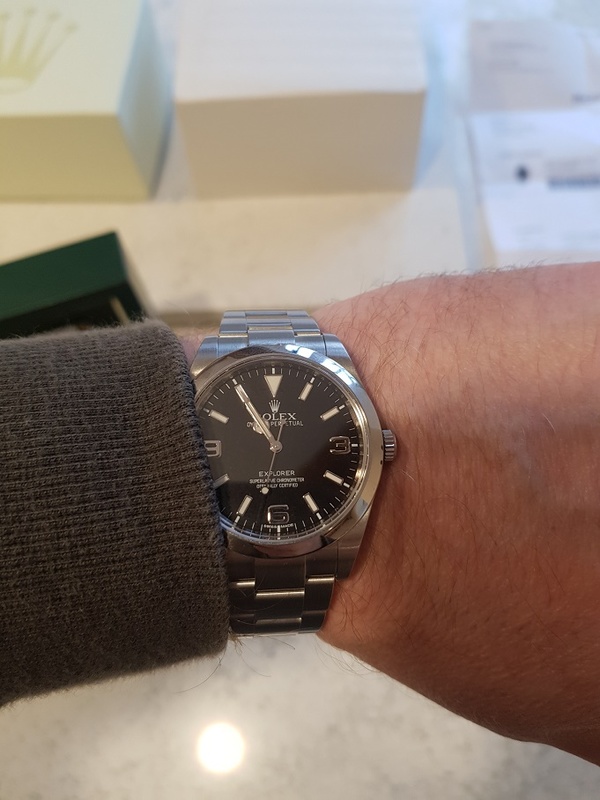 I have been told glass and crown on my Explorer 1 need replacing by Rolex (cosmetic damage) + service. Comes to £550ish I don't suppose using the above or others would be much cheaper? Any other shouts apart from Genesis and the above for me to check with? Might just be easier to fork out the cash otherwise. Let my Panerai go recently and got this to replace it. Already got a Sub and an Exp II so I fancied something a bit smarter/smaller. NickMSM wrote: Let my Panerai go recently and got this to replace it. Already got a Sub and an Exp II so I fancied something a bit smarter/smaller. Great choice. Love the simplicity and history of the Explorer. Such a beautiful dial on them. wembly wrote: price range? watch type? Or try and find a vintage Hamilton on eBay.